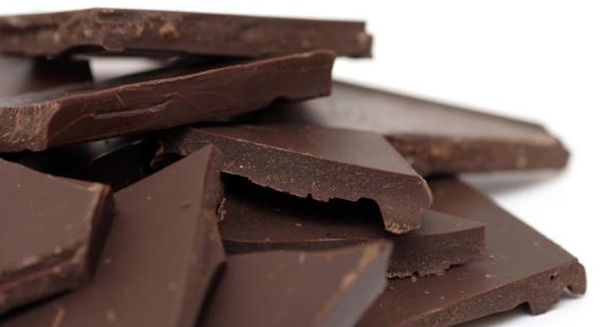 A huge discovery may mean it's time to break out the chocolate - here's why. What if you could reduce the fat contents in chocolate by 20 percent simply by using electricity? That’s exactly what a team of scientists led by physicist Rongjia Tao of Temple University has done. And according to a report from NPR, researchers say that the new electrified chocolate tastes as good as ever. You read that right; researchers have figured out a way to zap the fat out of chocolate using electricity. But how does that work? The key lies in the very early stages of chocolate production, while the treat is still in liquid form. Liquid chocolate is made up of cocoa solids, sugar, and a mixture of other solids suspended in fat and oil, which is primarily made of cocoa butter. This helps keep liquid chocolate viscous enough to flow throughout the entire production process. Initially, Tao and his research team were looking for ways to help make liquid chocolate more viscous. They were able to improve the viscosity of the liquid chocolate without adding more cocoa butter to the mixture, effectively slashing the fat levels inside the chocolate by as much as 10 to 20 percent. By applying an electric field to the liquid chocolate, its natural characteristics were changed. The cocoa solid molecules suspended in the fat from the cocoa butter are normally packed together tightly, but the electric shock makes them flatten out and begin behaving like tiny magnets. As the molecules stretch out into a chain, they have a much easier time flowing, making the liquid more viscous. The study’s findings were published in the Proceedings of the National Academy of Sciences. Tao believes that the new method for improving viscosity in chocolate will help smooth out production methods while making a healthier, lower-fat chocolate available to consumers around the world. A press release from Temple University describing the details of the study can be found here.